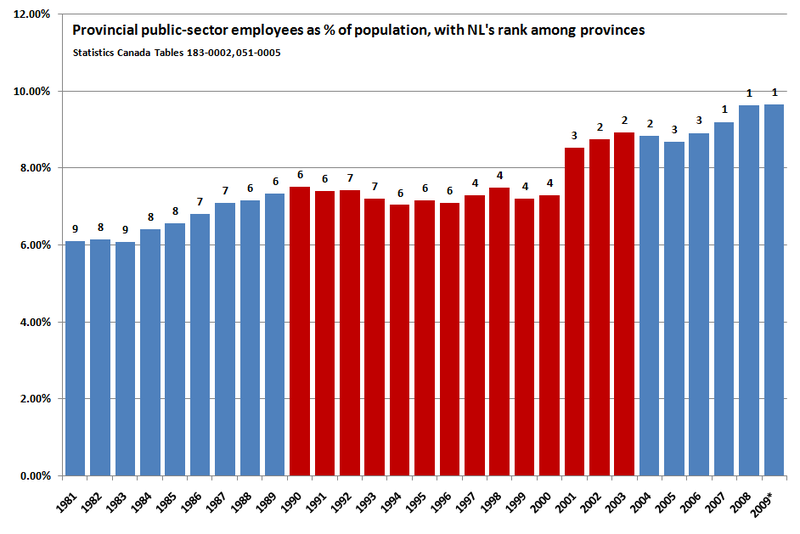 Nearly one in every ten people in the province – including children, retirees, the elderly, the unemployed, and the infirm — works in the provincial public sector. This per-capita measurement is the highest of any of the ten provinces, a rank which the province attained in 2007 and has kept every year since. * The caveat to the original post applies here; 2009 data is preliminary. For the purposes of interprovincial comparison, it is equally preliminary for all provinces. The population used as the basis for calculation in each year is the first-quarter population estimate.